Posted in Beauty, Daily Outfits, Fashion. I recently had my hair cut. You may have heard. 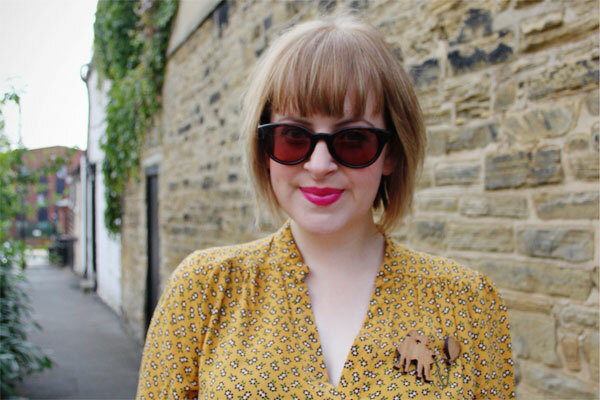 I’m now sporting a cute bob with blunt fringe – it’s a feminine, girly look, very different from my previous straight style and even further away from the pixie crop I had this time last year. Since going for the chop, I’ve found myself drawn to cute tea dresses, vintage-style brogues and ballet pumps over the Disco Pants and sharp blazers I was wearing. Maybe it’s because I’ve watched two seasons of New Girl back to back, but my new hair makes me want to dress like Zooey Deschanel. I’ve had this Matalan floral dress for ages, but usually prefer to wear it with ankle boots, a leather jacket and a statement necklace. 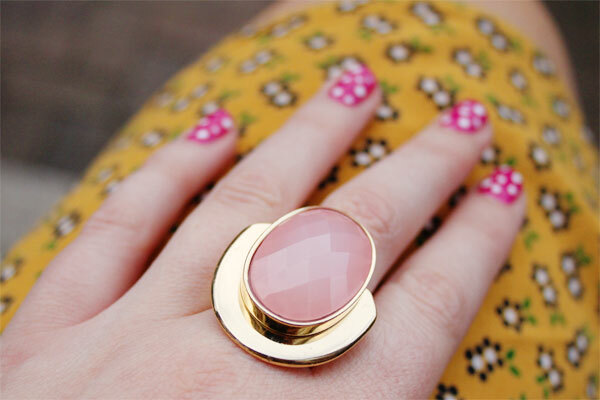 Today, with my cute crop, I went for a softer, sweeter look – a kitsch brooch, pink nails and pretty satchel. It’s not a huge leap, but it’s something slightly different and I like it. What do you think – does your style change when your hair does? You look so cute – I love this outfit! It looks wonderful! I know exactly what you mean about haircut affecting your style. Last year I grew out a severe undercut into a bob very similar to yours (it’s only just reached a nice bob length) and suddenly ditched a lot of severe, dark shapes and bought more tea dresses and Peter Pan collars and changed my make-up. I felt I needed a more demure but equally fun look to match my new ‘do and I’ve stuck with both the hair and the clothes. Yes! A few years ago I cut my hair into a very short asymmetrical bob.. I hated it… and was going to a wedding a few weeks later and told my husband that I wasn’t going unless I bought a new outfit to suit my new hair.. nothing girlie would work, I needed chic & sleek. Oooh, good question! I LOVED Target – it was a bit like Primark but better quality. They had some gorgeous accessories and their designer ranges are lovely. I also picked up some nice bits in Forever 21 – it’s much cheaper there than it is over here and the flagship stores are insane – so much stuff! Other than that I didn’t do a lot of shopping as I was with my boyfriend… US thrift shops are amazing though, if you’re near a Goodwill definitely check it out! And if you’re in NYC (LUCKY! ), Beacon’s Closet in Brooklyn is fab. Our suburban mall here is a little, hmmm…sad… But we have trips booked to Vegas and NY so the shops there are sure to be better. I’m keen to check out an Outlet Mall at some stage as well. 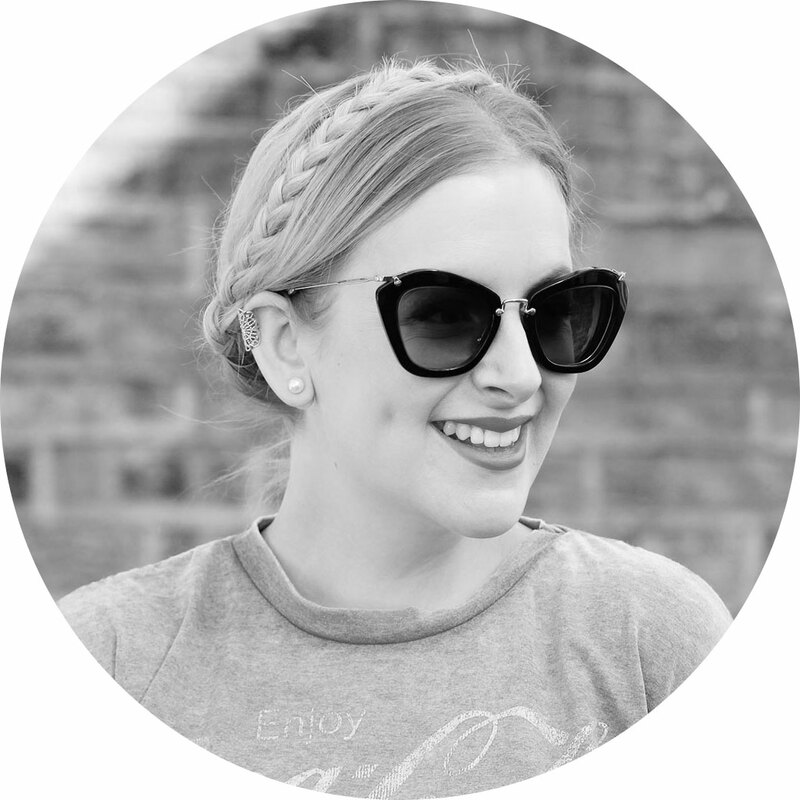 i’ve been styling my hair differently recently and it’s made me want to dress differently! your new hair looks fab and i love the dress! I am loving the new hair, I really need to sort mine out! when i cut my hair i felt the same, also, it opens so many more hat opportunities when you have a straight fringe. I’ve said it many times before, but I would kill for this dress! I think a hair change can make you change your taste in clothes, not always radically, but I find my hair colour especially (more than the cut) really dictates what suites me. Oh wow, you look adorable <3 I do love your watch and ring <3 And whole look is lovely as usual ! 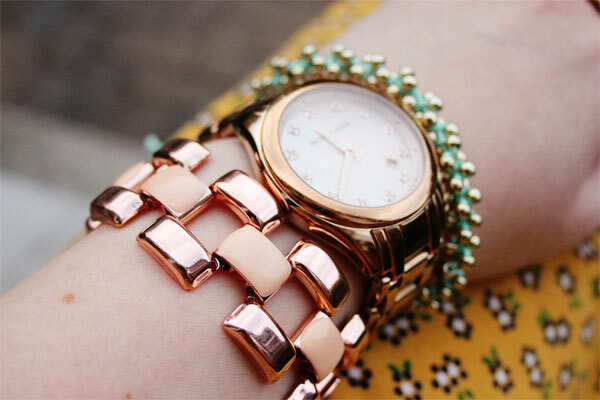 Check out my blog http://thislittlepretty.blogspot.co.uk/ where I am forever obsessing about all things rose-gold, and H&M jewellery (amongst other things lol). I just discovered Zara’s accessories range today, with some stunning statement necklaces, at very reasonable prices – I am sure to be hooked. Check it out & see what you think…. ps. 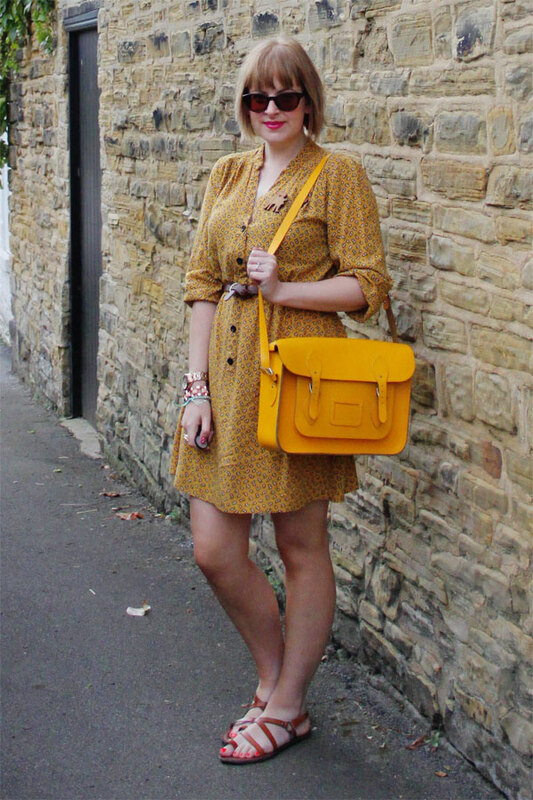 cute bob – I would opt for a bob myself but fear a ‘Crystal Tips’ do might occur! There has only been one season of New Girl. In the UK there was a gap between some of the episodes. I find it strange now when I don’t wear something slightly retro since I got a blond streak put in my hair- it looks a bit random otherwise! I still haven’t managed to find a haircut that does the colour justice- I want something curly but my hair is so poker straight and doesn’t hold anything that its just in a bob right now. 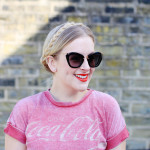 I think your hair is probably the most important fashion accessory you have- its can just be a bit difficult I think to find something that goes with all the different styles you want to wear! 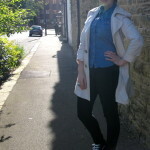 The style looks good on you, your face is very suited to it. I am also considering to cut my hair, hoping to experience another feeling. The new hair looks great! I think styles can change depending on hair style but I would never rule out any types of clothes because of my hair style. 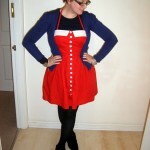 But I do agree, that sort of feminine bob is perfect for cute tea dresses. When I had a blunt fringe, I was drawn to a retro look. Now that I have a side-fringe and layers for volume I dress like a rocker again. It’s a sub-conscious thing.